SeamlessDocs allows companies and governments to customize the domain of their web forms and SeamlessDocs with a feature called Private Labeling. For example, if your form's URL is company.seamlessdocs.com/f/abcdef, it can be customized to forms.yourdomain.com/f/abcdef. White Labeling will make it easier for you to integrate the powerful service of SeamlessDocs into your website with your brand identity. To learn how to add a CNAME Record for GoDaddy, click here, and for other domain providers, click here. 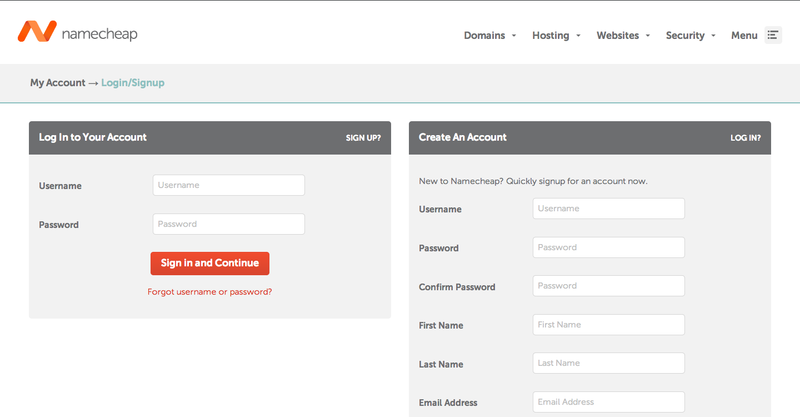 For this example, we will be showing how to add a CNAME Record using Namecheap. 1. Sign in to your domain's account from your domain host or provider. 2. Find the page for updating your domain's DNS Records. 3. Access your Records settings. In this example, we will go to the "All Host Records" tab. It usually takes several hours for the CNAME Record to go into effect. Now, when a user goes to forms.yourdomain.com, they will be redirected to the associated SeamlessDocs account. How Do I Print This Form?